In an EU rese­arch pro­ject, Klasmann-Deilmann and the Uni­ver­si­ty of Osna­brück inves­ti­ga­ted the cau­ses of sciarid infe­sta­ti­on, espe­ci­al­ly that which affec­ts orga­nic gro­wers. A new sub­stra­te solu­ti­on was deve­lo­ped that redu­ces deve­lop­ment of sciarids by up to 80%. 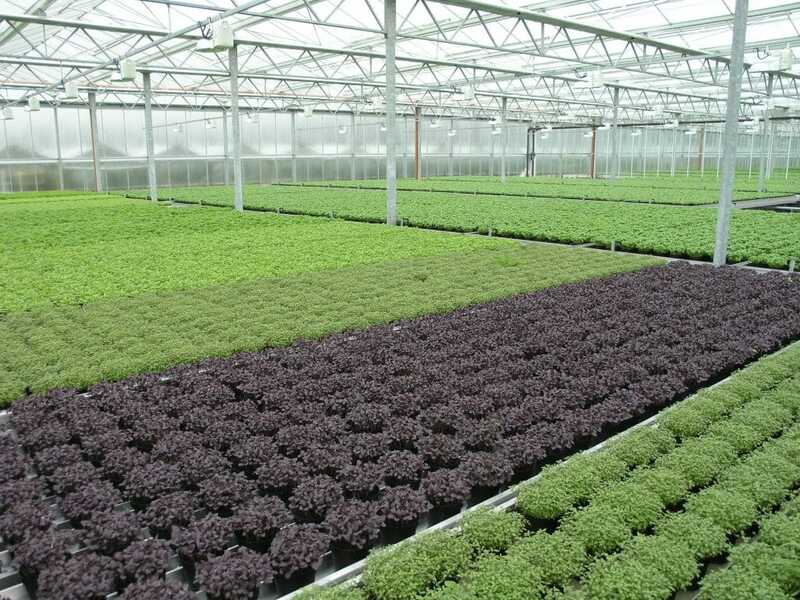 This is espe­ci­al­ly pro­mi­sing for gro­wers that use orga­nic herb substrates with low to mode­ra­te basic dres­sing, com­bi­ning them with liquid fer­ti­li­ser regimes during cul­ti­va­ti­on. Other poten­ti­al uses are as pro­pa­ga­ti­on substrates for sen­si­ti­ve vege­ta­ble crops such as cucum­bers and lamb’s let­tuce. The EU rese­arch pro­ject team found that the spe­ci­fic com­po­si­ti­on of orga­nic substrates encou­ra­ges sciarid infe­sta­ti­on. In addi­ti­on to raw peat mate­ri­als, a high pro­por­ti­on of alter­na­ti­ve sub­stra­te con­sti­tu­ents is used in this seg­ment, such as com­post, coco pith and wood fib­re. This blend pro­vi­des sciarid lar­vae with good living con­di­ti­ons; orga­nic fer­ti­li­sers in par­ti­cu­lar are used as a food source. Under this pro­ject, the selec­tion of sub­stra­te con­sti­tu­ents was chan­ged such that the lar­vae were depri­ved of their natu­ral food source. What is cru­ci­al here is the use of a ful­ly rot­ted, sta­ble green com­post pro­du­ced by Klasmann-Deilmann in com­pli­an­ce with RHP gui­de­li­nes. A method of app­li­ca­ti­on and a novel fer­ti­li­ser for­mu­la­ti­on were also deve­lo­ped that no lon­ger pro­vi­de an ide­al life-sustai­ning medi­um for sciarid lar­vae. With their spe­ci­al­ly tailo­red blend of ingre­dients, the­se fer­ti­li­sers achie­ve remar­kab­ly good out­co­mes not only in the sup­pres­si­on of sciarids but also in terms of plant growth. They are high­ly effi­ci­ent in their nut­ri­ent poten­cy and also rich in ami­no acids that streng­t­hen plants.